Canadian Wildlife Federation: Do wolves really howl at the moon? 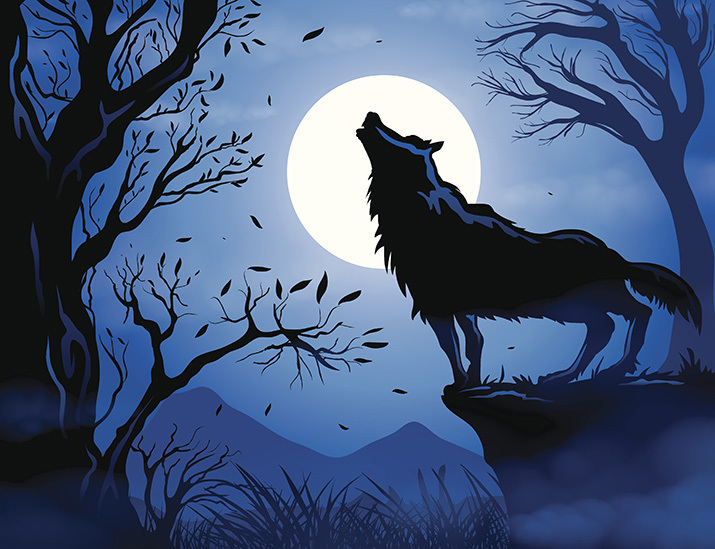 As mystical and ancient as the notion of the wolf howling at the moon may seem, there is actually no scientific correlation between a howling wolf and the appearance of the moon. It is in fact more of a coincidence since wolves are predominantly nocturnal animals, and are therefore naturally associated with darkness and with the moon. But where did this romantic idea come from? This is one we can blame on our ancestors’ ancestors. Dating back to the Neolithic Age, wolves have continually been paired with the moon, whether in images or in literature. Even the Greek goddess of the moon, Hecate, kept company with dogs; same goes for Diana, the Roman goddess of the moon and Hunt. Native American Seneca tribes believe that it was actually a wolf that sung the moon into existence. With all of this historical significance, it really isn’t surprising that this ancient folklore has evolved into today’s popular belief. So what are wolves actually doing, howling with great gusto at the celestial body in the sky? Since wolves are nocturnal, naturally they will be more vocal at night. They point their faces to the sky to howl simply because of the acoustics generated from this gesture – the higher they send the sound, the further it will travel. Wolves howl as a means for long-distance communication, and can convey a range of information with different pitches and suspension of notes. Some of the primary reasons why wolves howl include rallying their pack, providing a signal to let others know of the packs’ location, and delivering a warning to other wolves to remain outside of the packs’ territory. Although we often associate howling with the image of the lone wolf, wolves also frequently participate in chorus howling, where members in a pack will howl simultaneously into the night. This can act as protection for the pack as it can deceive enemies as to how many pack members are actually grouped together, making it sound like many more than there might actually be.